As a long time Dolphin user I watched it grow from a very small and simple script to something much bigger and complex over the years. It used to be fairly light weight and it would run well on most hosting platforms even limited shared hosting. It grew and grew, and then grew some more. As it continued to grow and mature it's appetite naturally increased. There are numerous threads on what kind of resources Dolphin will consume and what kind of CPU power and memory you might need. This is really a tough one, and it partially depends on some of the modules that you might install and use. As well as whether or not you want to use your own self hosted RMS. How much traffic and members you expect to join your site, and more importantly how many will be online at the same time. I have had good luck running Dolphin on standard cheap shared hosting for years. However, I do not use RMS on this site and video uploads are performed sparingly. This site does get a decent flow of traffic too. Your own RMS would require root access to install Java if it's not available, and the actual RMS files. You also would need to configure and make sure the particular ports that it will use are open. This you won't be able to do with shared hosting. 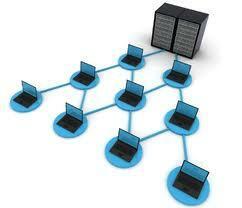 You will need a system with root access like a VPS, Dedicated server, or with some Cloud based hosting setups. Dolphin video uploads are converted with an included ffmpeg.exe, which can be very CPU intense and a lot of shared hosts will suspend your account for too much usage. Memory use varies now in Dolphin 7.0.x and 7.1.x depending on whether you use the h.264 codec, html5, or non-h.264 (.flv) formats. Both h.264 and html5 use a lot of CPU and a sizable chuck of memory at the current time and date. Non-h.264 video uploads are much lighter on the CPU and memory use is also much lower. If you have a smaller site and you don't need your own RMS and you can get by with sparingly uploaded videos you might be fine with a shared dolphin hosting account. A few years back I used to think a VPS was the route to go for a full featured Dolphin site. They were much more reasonably priced when compared to a Dedicated server at the time, and they offered more resource usage than shared hosting. Today Dedicated servers are more powerful than ever. Hard drives are much bigger, memory and bandwidth is very reasonable. You can get a nice entry-level Dedicated server that can easily outperform a VPS for nearly the same price. You can get more CPU power, more ram, a lot more hard drive space, and plenty of bandwidth for almost the same price. Sometimes even cheaper depending on what you compare. There are some nice Dedicated servers in the $70-$150 per month range. If a VPS is going to cost $50-$80 per month or more I would certainly consider a Dedicated server. I have tried a number of VPS systems and a lot of them are either oversold or very weak and wimpy. My cheap shared hosting account is faster than some VPS systems and I'm not exaggerating. So it really comes down to what modules you install or use and how much traffic you expect to have.